Very friendly and helpful hosts. 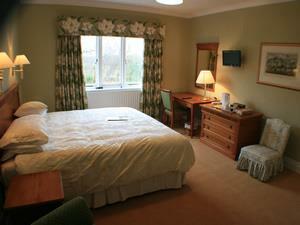 A lot of thought has gone into the decoration and small luxuries in guest rooms. The complimentary toiletries are very good and there is an amazing selection of teas with coffee and biscuits replenished daily. Local guidebooks are available with even more, very helpful, guidance and advice from Graham and Heather. The back garden is a haven for birds and small mammals - an unusual entertainment to accompany one's breakfast! Lots of fresh fruit, cereals, full english etc. is provided every morning.